The jury is still out, but magnetic fields or mild electric currents may aid learning and help several conditions that affect women in particular. Stimulating your brain doesn't just mean spending an evening at the theater or reading a good book. These days it can involve sitting with your head against a magnet or wearing electrodes that transmit a low-voltage current through your scalp to activate—or suppress—certain neurons in your brain. The prospect of regulating brain signals responsible for mood, pain, and learning is so compelling that scores of studies are under way to see if, and how, the approach can be used to sharpen mental skills and treat symptoms of several mind-body disorders. "Brain stimulation, if used carefully and safely, looks promising, especially if combined with other therapies," says Dr. Daniel Press, a neurologist with the Berenson-Allen Center for Noninvasive Brain Stimulation at Harvard-affiliated Beth Israel Deaconess Medical Center. 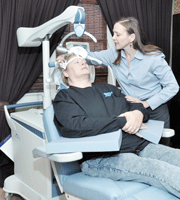 Dr. Press has used noninvasive brain stimulation for almost a decade. Two types of brain stimulation are available today. Each has FDA clearance for at least one medical purpose but is being used in clinical trials and "off label" to treat several medical conditions. Transcranial magnetic stimulation (TMS) uses a magnetic field generated by a coil in a paddle that is held against the patient's head to stimulate specific areas of the brain. This form of therapy is also called repetitive TMS or rTMS because the magnet is turned on and off rapidly, creating an effect that feels as though someone is tapping on your head. The magnet emits loud noises as it is turned on and off, which requires people undergoing TMS therapy to wear earplugs during the 40-minute sessions. Side effects are usually limited to headaches and ringing in the ears. Transcranial direct current stimulation (tDCS) transmits a weak current from a 9-volt battery (the size used in a smoke detector) through electrodes on the forehead or scalp. People who undergo tDCS may feel their scalp tingle and hear a humming noise. Each session lasts about 20 minutes. Depression. 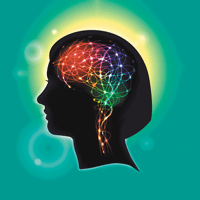 TMS stimulates neurons in the prefrontal cortex, a region of the brain that is underactive in people with depression. TMS received FDA clearance in 2008 for treating people with depression for whom drugs haven't been effective. It may also be an alternative for women with depression who are pregnant or breastfeeding and thus may not want to take antidepressants. Unlike electro-convulsive therapy, which is also approved for depression that isn't alleviated by medication, TMS isn't likely to cause seizures or memory loss. Insurance may cover TMS therapy. TDCS, which is FDA-cleared only to speed the absorption of certain medications through the skin, is also being used to treat depression. Because tDCS is still considered experimental, insurance won't pay for this therapy for depression or any other condition. Chronic pain. In a recent review of several randomized controlled clinical trials of TMS, Harvard re-searchers concluded that it was effective in treating nerve pain, including back and leg pain, pain and numbness in hands and feet caused by diabetes, and fibromyalgia. Although there are fewer data for tDCS, it may also be effective for those conditions. Eating disorders. In early studies, both TMS and tDCS have reduced episodes of binge eating and bulimia in women with those eating disorders. Migraine. A portable device that delivers a different type of TMS has received FDA clearance for treating migraine headache with aura (headache preceded by flashes of light, tingling, or other sensory disturbances). The manufacturer is conducting post-marketing studies at several headache centers before making it available by prescription. Tinnitus. Researchers are exploring new ways to deliver TMS to reduce or eliminate the perception of ringing in the ears or other sounds within the head. Memory and learning. In the last few years there have been scores of studies evaluating the effect of TMS or tDCS on people's ability to perform mental tasks, particularly those that involve discerning visual patterns, re-calling lists of unrelated words, or doing math problems. Over all, the results indicate that the techniques are most likely to improve mental function when used in conjunction with other types of training, such as learning new systems for remembering names. A few small studies in people with mild Alzheimer's disease suggest that TMS could be combined with cognitive exercises to improve function. You can locate the nearest medical facility that offers TMS to treat depression by going to the website of NeuroStar, the TMS system with FDA clearance for treating depression (www.neurostar.com), and entering your ZIP code. The best way to get TMS or tDCS therapy for other medical conditions or to improve cognitive function is to enroll in one of the scores of clinical trials seeking volunteers. To find one in your area, go to the study database maintained by the National Institutes of Health at www.clinicaltrials.gov. The equipment required to perform most types of TMS is large and costly, which limits its use to medical facilities. In contrast, tDCS can be delivered with equipment that is portable and relatively inexpensive, and electronics companies have taken advantage of that feature to create a host of tDCS devices that are sold directly to consumers. Some devices are promoted for improving the user's alertness and mental focus. Others are marketed for helping people relax. Advertising for the products is likely to include links to favorable accounts of experiences with tDCS in respected media like The New York Times, The New Yorker, and PBS NewsHour, but the ads neglect to mention that the reporters who underwent tDCS for those media did so under supervision in research laboratories, not on their own. The devices retail at anywhere from $50 to more than $1,000, but they are an unwise investment at any price, Dr. Press says. Because manufacturers don't claim medical benefits for the devices, they aren't required to get FDA clearance to market them. That means there is no guarantee that they are safe and effective. "We have a lot of safety concerns with the devices out there," he says. He's also concerned that people may purchase them to self-treat conditions that require medical attention.